The Old Man is one of the most impressive geographical features in the British Isles. 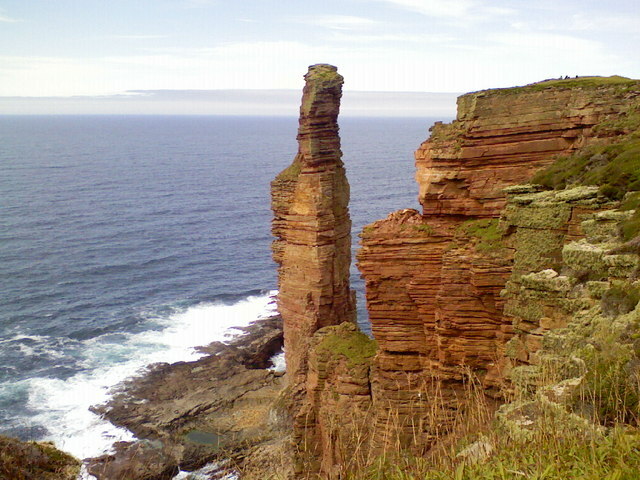 You can get an idea of the scale of it from the tiny human figures that are barely visible on the cliff top immediately to the right of the stack. It may not be there in a couple of hundred years - early drawings show it connected to the mainland by an arch and that has long since disappeared ....! © Copyright Andrew Tucker and licensed for reuse under this Creative Commons Licence.